Managing personal finance requires proper planning and making the right decisions. It is based on the principle of saving, investing and protecting assets. We need to save for the future, invest our savings and protect our investments. Today, we outlined 9 key tips you need to know about personal finance success. 1. Live within your means and be yourself. Do not spend more than what you earn and manage your cost by making budgets. It’s also helpful to set your short and long-term financial goals and manage your money to meet them. 2. Do not try to keep up with others. Your friends, colleagues or neighbours might be driving nice cars or “Facebooking” from the latest iPad but that doesn’t mean you should do the same. It is a bad financial and life habit to act because someone acted. Think about it, you probably don’t even know how they got the finance to spend on such activities. They may have taken loan from a local bank to buy these things. 3. Save and invest at least 10% percent of net income. Save, save and save. Put aside at least 10% of your salary into a saving account and sweep the accumulated amount to an investment account say every 3 or 6 months. For example you might invest in Treasury bills, Money market funds or long investment such as bonds and equity. People who regularly save, even a small amounts, are well on their way to financial and social success. 4. Avoid impulsive buying or buy things you need. Impulse buying is an unplanned decision to buy a product or service. For every major purchase you made, you should have planned for it. If you are buying something impulsively, let it be an item you need not just a want. Impulsive buying does not allows you to manage the cash flows. 5. Don’t buy consumer items on debts. Good debt is the debt you take and invest the proceeds whiles Bad debt is the debt you take and spend the proceeds. Don’t borrow money and buy item such as clothing, vacation, phones etc. These items lose value over time. I am not saying vacation is not important but it is better you save towards such spending. You should use debt to make investments in things that gain value, such as real estate, a business, or an education. 6. Invest in yourself and others. Invest in your education, your health, and your relationships with family and friends. I once had 2Face singing “your health is your wealth”. Don’t forget to invest your time and money in other people without expecting return. Expect the unexpected and put aside some funds for emergency. Prepare for major changes in your life such as lay off, health issues, breakup etc. Emergency funds are usually stored in liquid account such as a savings, fixed deposits or money market account that will give you an immediate access to your money if you need it. As Mahatma Gandhi said, it is unwise to be too sure of one’s own wisdom. It is healthy to be reminded that the strongest might weaken and the wisest might err. After creating the wealth, you need to protect it. You can either hedge or buy insurance if the risk is very higher. Hedging involves giving up the ‘upside’ in return for protection against the ‘downside’. Insurance is a defensive action aimed at protecting against potential adverse developments. 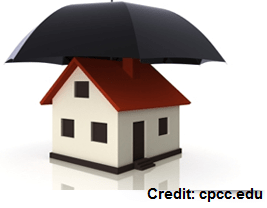 Example of insurance includes auto insurance, home insurance, medical insurance etc. 9. If you have the finance, own a home. This should be a long term dream and If you have the money, owning a home is more cost-effective than renting. You may have observed that rents increases fast than income of an average salary earner. What are your own success tips, please use the comment box below? 1 Comment on "9 Key Tips about Personal Finance"